Vatican City, Aug 6, 2018 / 03:09 pm (CNA).- Pontifical diplomacy took on a new approach in 1914, with the election of Benedict XV as pontiff. The viewpoint of that moment is captured in a snapshot: a report from the Secretariat of State on papal diplomacy, drafted at the time of Benedict XV’s election. That report was is published in a new book, “From Pius X to Benedict: Pontifical Diplomacy in Europe and Latin America in 1914”, written by Church historians Roberto Regoli and Paolo Valvo. How did the Holy See change its approach to diplomacy? In 1914, the Holy See had just 9 nunciatures established in the world. Ties with European countries were decreasing, while relations with Latin American countries we on the rise. In 1871, the Papal States were seized by the Italian troops who headed to Rome to make it the capital of the Kingdom of Italy. The Papal States thus lost their territory, and the Holy See became a kind-of state without territory, though it kept up its diplomatic relations. In Europe, the Church had no strong allies: Italy, Austria and Prussia had signed in 1882 the Triple Alliance, while France was under such strong secularizing trends that brought to the 1905 Law on Separation between Churches and States. As a consequence of the European political dynamic, the Church was forced to look further afield for diplomatic partners. In 1893, Pope Leo XIII opened an apostolic delegation to United States, and in 1899 another apostolic delegation was established in Canada. A pontifical representation was opened in Central America in 1908 and in Venezuela in 1909, while in 1904 an apostolic visitor was appointed for Mexico, and a delegate was sent to Haiti. The Holy See’s presence in Asia was also strengthened: in 1884, there began a pontifical delegation in India, and in 1905 Pope Pius X sent a delegation to Japan to study the possibility of establishing papal representation there. A pontifical delegate was appointed for China in 1922. Given this data, it is no surprise that Latin America was the area of significant interest in the 1914 report on pontifical diplomacy. The report described the situation of 12 Latin American countries and of 7 European countries. Among those countries, great space was given to Serbia because of a covenant the Holy See had signed June 24, 1914. Latin America had become one of the Church’s main interests, as the countries there were undergoing a shift, too: governments had shed colonial ties, but at the same time they sought the same guarantees the Church had granted to the colonial powers. In order to evangelize the New World, the Church had given the European kingdoms many concessions, even some influence in appointing new bishops. This was part of a Church-state bond that would be considered unacceptable now. At the time, however, they were part of a widespread practice, one that did bear good fruit, Cardinal Pietro Parolin, Vatican Secretary of State, recently said. Under Benedict XV, a shift in pontifical diplomacy was clear. The bilateral relations, though fundamental, were step-by-step set aside by a more multilateral approach. The main outcome of the multilateral approach was Benedict XV’s efforts for peace, which resulted in a letter he sent Aug. 1, 1918 to warring countries. Benedict XV also worked to get rid of the system of “protectorates,” the concessions and agreements made with colonial powers who acted as the real guarantors for the evangelization in outward-bound countries. This resulted in Benedict XV’s 1919 encyclical Maximum illud on missionary activity, which called for the formation of local bishops in territories of mission. Following that call, Pius XI later ordained the first Chinese bishops. One example is the Church’s relationship with France. “The key of understanding to the relation with France is that of the pure defence of religious interests”, the authors write. Given the French 1905 law on separation between the Church and state, and increasingly tense relations with the French state, which granted no juridical status to the Holy See, the Holy See made the decision to affirm the French protectorates in the Near and Far East in order to keep connections with France. Despite the need to keep the links with France, the Law on the Separation of the Churches and the State also had a positive effect: the Pope could independently appoint the bishops, without any interference of the government. Another example was the approach toward Latin America. In South America, the Holy See had a nunciature in Brazil, and diplomatic ties in Argentina and Chile. Pontifical representatives had diplomatic rank in Bolivia, Colombia, Costa Rica, Honduras, Nicaragua, Perù and Venezuela. In sum, before the pontificate of Benedict XV, the Holy See had tried to sign concordates or covenants in order to promote a confessional model of state, wherein the Catholic religion could have a predominant position, giving in exchange the possibility of advancing suggestions to fill the vacant sees of bishops, for example. Benedict XV’s model was different. As the Holy See lost its structure and most of its secular privileges, Benedict XV promoted a more spiritual role for nuncios, whose task became more pastoral than political, and whose effort in helping the pope to identify new possible candidates for bishops becomes crucial. After this shift, the Holy See began to be perceived as a neutral figure in the disputes between state, and this led to increased significance of its diplomatic activity. The 1929 Lateran Treaty signed with Italy, which granted the Holy See a small territory, paved the way for the building of a diplomatic network with a large impact because of its reputation for neutrality. The Holy See now has diplomatic ties established with 183 countries: fairly more than the 9 countries that enjoyed full diplomatic ties with the Holy See back in 1914. The Holy See’s diplomatic agenda, in the end, is that of the common good, and the relations with states are a tool to achieve it. Vatican City, Sep 17, 2018 / 08:05 am (CNA).- Following reports that the Holy See and the People’s Republic of China could be about to sign an agreement on the appointment of bishops in the country, attention has turned to the role of Archbishop Theodore McCarrick in fostering Vatican-China relations over the last two decades. Over 20 years, Archbishop McCarrick traveled to China on at least eight occasions, sometimes staying in a state-controlled Beijing seminary, often serving as an unofficial bridge between the Vatican and Chinese government-appointed bishops until 2016. Prior to allegations of sexual abuse and harassment becoming public this summer, the former cardinal had been an outspoken proponent of a deal between Chinese President Xi Jinping and the Church under Pope Francis, according to Chinese reports. “I see a lot of things happening that would really open many doors because President Xi and his government are concerned about things that Pope Francis is concerned about,” McCarrick told The Global Times, in an exclusive interview in Feb. 2016. “His previous visits included meetings with Wang Zuo’an, head of the State Administration for Religious Affairs and late bishop Fu Tieshan, former president of Bishops’ Conference of the Catholic Church in China (BCCCC), an organization not recognized by the Holy See,” The Global Times reported. McCarrick was hosted by the Beijing seminary during at least two trips to China, according to a 2006 State Department document made available via Wikileaks. The vice-rector of a Communist-approved seminary, Fr. Shu-Jie Chen, described twice hosting McCarrick in an account found in a cable from Christopher Sandrolini, Deputy Chief of Mission at the U.S. Embassy to the Holy See. Sandrolini also noted that the vice rector “downplayed persecution of the underground Church,” calling the underground church “uneducated” and “elderly.” He said that Chen seemed “unconcerned” that “evangelization was not an option for official religious personnel. There appears to be a gap between McCarrick’s trips to China between 2006 and 2013, though McCarrick’s influence was still active. In 2009, the archbishop had a message relayed to a friend in China through Nancy Pelosi, then Speaker of the House of Representatives. Pelosi conveyed McCarrick’s greetings to Bishop Aloysius Jin of Shanghai, formerly a leading Chinese Jesuit. “She [Pelosi] relayed Cardinal McCarrick’s good wishes to Bishop Jin. Bishop Jin said he and Cardinal McCarrick had exchanged visits, beginning when the latter was Bishop of Newark,” the State Department cable reads. During McCarrick’s time as Archbishop of Newark, Aloysius Jin Luxian was not recognized as a bishop by the Vatican. He was ordained a coadjutor bishop of Shanghai without papal approval in 1985, his position was not recognized by the Vatican until 2004. Bishop Jin died in 2013. A 2007 article in The Atlantic described the close friendship between McCarrick and Jin, and how McCarrick claimed to have relayed messages from the Chinese government-appointed bishop to the pope in the 1990s. Both the State Department and Chinese media recorded a 1998 visit to China by Archbishop McCarrick. On that trip he was one of three American clerics to visit China to discuss religious freedom, meeting with Bishop Michael Fu Tieshan, vice-chairman of the Chinese Communist Party’s Standing Committee of the Chinese National People’s Congress. Fu was made a bishop by Beijing 1979 without approval of the pope. Chinese media reported that McCarrick paid a visit to the National Seminary in Beijing in 1998. McCarrick was “the first cardinal from a western country to visit the mainland since relations between China and the Vatican turned frosty after a dispute over canonisation in October 2000,” the article continued. On Sept. 14, the Wall Street Journal reported that the Holy See could be about to enter a deal with China which would include the recognition of seven illicitly consecrated bishops serving in the Chinese Patriotic Catholic Association – a state-sponsored form of Catholicism whose leaders are chosen by Communist authorities. 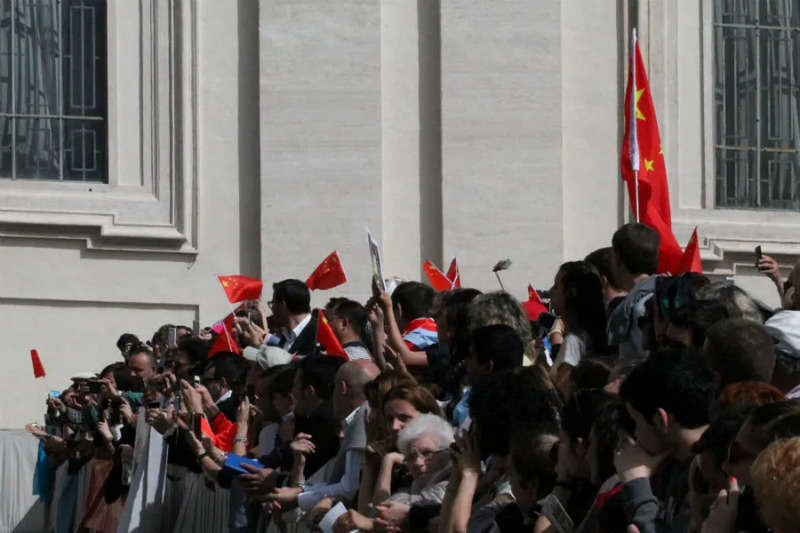 Reports of the Holy See and Chinese government working towards a formal agreement on the appointment of bishops have been circulating since January, 2018. At the same time, China has launched an increasing crackdown on religious practice in the country, demolishing churches and harassing worshippers. 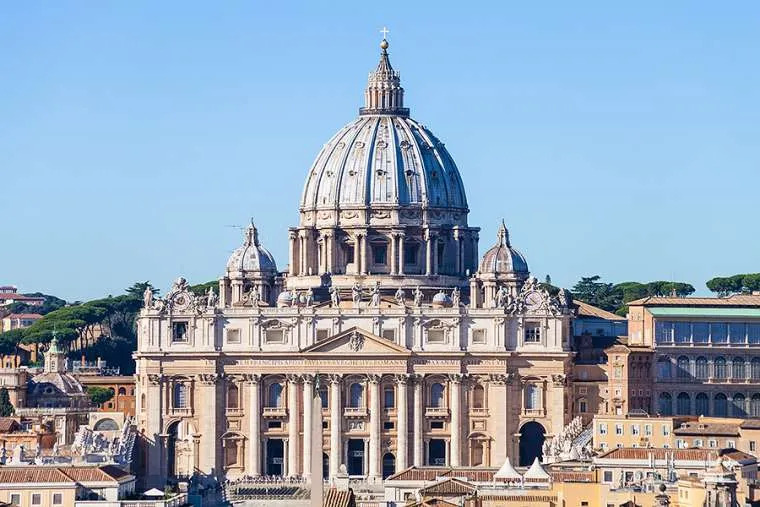 Vatican City, Mar 5, 2019 / 08:26 am (CNA).- Pope Francis appointed new bishops Tuesday to lead the dioceses of Memphis and Fresno, also naming a new auxiliary bishop of Los Angeles. Thus perpetuating Roman centralization. And do the results justify it? Just look at the state of the Latin churches in Latin America.